Let’s pack up our bags and head over to Victoria’s beautiful Yarra Valley, situated just a short hours drive east of Melbourne. Here you will find an abundance of great food, cool climate wine and mesmerising scenery which would keep any ‘out of towner’ content. But there’s a ‘change a brewin’ over there in Pinot country and it’s kicking goals at a rapid speed. Cider is becoming increasingly well renowned in the Yarra Valley, with the region even having its own Cider and Ale Trail. Doesn’t that sound massively enticing? But the making of cider seems to have a deep rooted history in the Valley, dating back to the 1930’s. The area itself is claimed to be one of Victoria’s oldest cider regions, so they’ve had some time to perfect their techniques! What I like with Napoleone is the effort they are placing into informing the consumer of the raw materials and processes they use to make their ciders. With many producers, you don’t get to see the crew hard at work milling or pressing the apples and pears, or understand how their cider importantly became cider. These guys have posted pictures galore on their official Facebook page, and I got real joy out of studying them all. The visual experience then gives you a huge amount of confidence about the product, as you know it’s been made with the utmost respect. I thought it would be a nice idea to review the Napoleone Co. apple with pear cider, as pear hasn’t made any formal appearance so far. 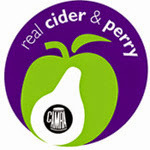 Pear cider (or Perry) in Australia is becoming increasingly popular, with its more subtle flavours and aromas. Done right, it can be a marvellous drink offering a new alternative to plain apple cider. Unfortunately names like Bulmers, Magners or god help me Strongbow are flooding our Australian market with cheap pear imports. *There I said it! I promise that this will be the only time EVER in this blog that the names of Satan are mentioned!! I was really looking forward to having a decent look at this cider, as the apple /pear mix is a perfect match when blended perfectly. The colour was in and around the pale straw spectrum, and the cider itself was filtered to a sparkling clear finish. In the glass the carbonation was light and fluffy, which had a nice long presence after pouring. Nose wise, it was a little restrained but I purely put that down to the pears involved. The blend of apples used in this cider consists of Pink Lady, Fuji and Granny Smith. So you would expect to get some apple sweetness combined with the crispness of the Grannies. The pears used are the ever reliable Packham and Beurre Bosc, which give in Napoleone’s views, ‘aromatics and earthiness’. Lifted notes of pineapple were evident on the nose, almost reminiscent of an exotic fruit bowl. It really was a pretty nose which also showed hints of candy apple and red eating apple. Overall, it was a very clean nose with a good balance of apple and pear characters. What you get on the palate is a big burst of up-front sweetness which fades quite fast. The carbonation softly foams up in the mouth, and gives off a sherberty character which is quite interesting. This adds some texture to the experience as there is no real astringency or bitterness anywhere to be seen. The up-front sweetness could potentially be balanced a little more with some Granny Smith acidity to help sharpen up the palate. You do, however, see some delicate pear hints intertwined with the Pink Lady and Fuji characters which are quite nice. The overall palate experience was good, and you get the feeling that it’s a real Winemakers drink (as it has been made by a Winemaking Company). I’d describe this cider as a young softly spoken woman, who’s elegant but bashful and doesn’t like too much attention being put on her. 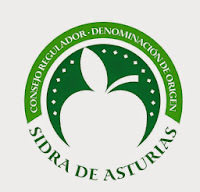 The cider is very drinkable, but hides in its shell not opening up any of its secrets easliy. The delicate Yarra Valley fruit does offer sweet, pretty characters that all complement each other nicely. The sweetness of this particular cider may become a little heavy for some consumers, but don’t let that hold you back. The Cidermaker Behn Payten has crafted a soft, quietly spoken, delicate apple with pear cider that is overall a good drop. Producer: Punt Road Wines – Napoleone and Co.